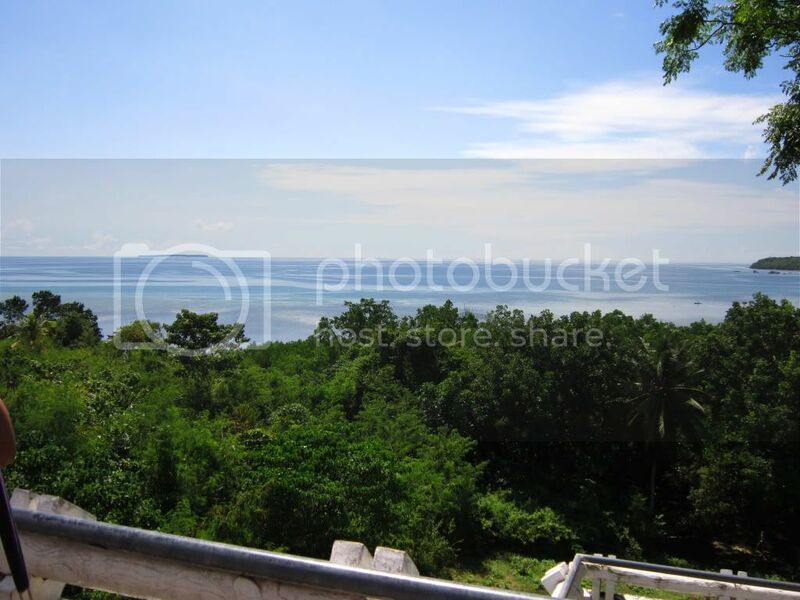 I recently went for vacation with my family to Cebu and Bohol. We decided to just have a countryside tour in Bohol (Thanks to Lynne for giving me her Bohol contact and for the Bohol tips!). Aside from the itineraries given to me by friends (thank you guys! ), I have no idea about the Bohol trip. We rode a Supercat fastcraft from Cebu Pier 4 at 8.30am. One-way ticket costs Php 520, but the round trip ticket we got costs Php 845. 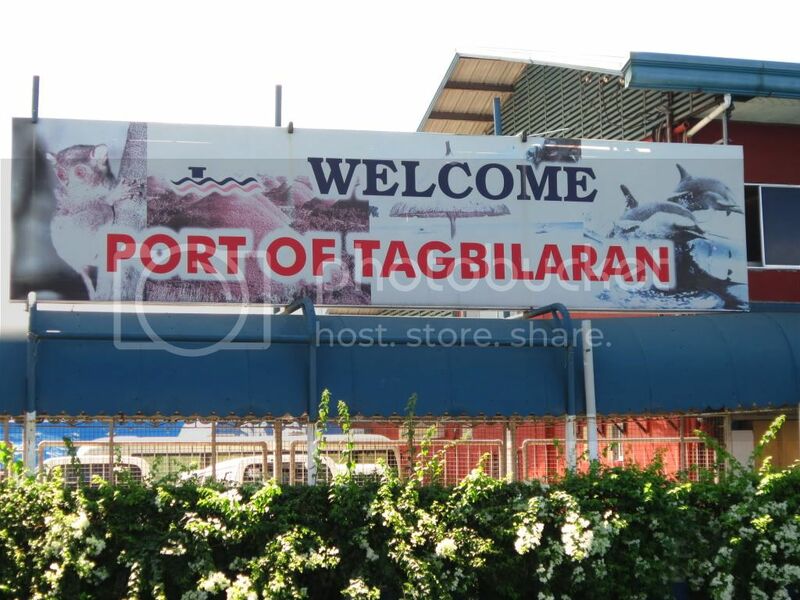 After less than 2 hours, we arrived at the Tagbilaran Port. Mang Jessie, our tour guide/driver was already by the port gate waiting for us. 1. 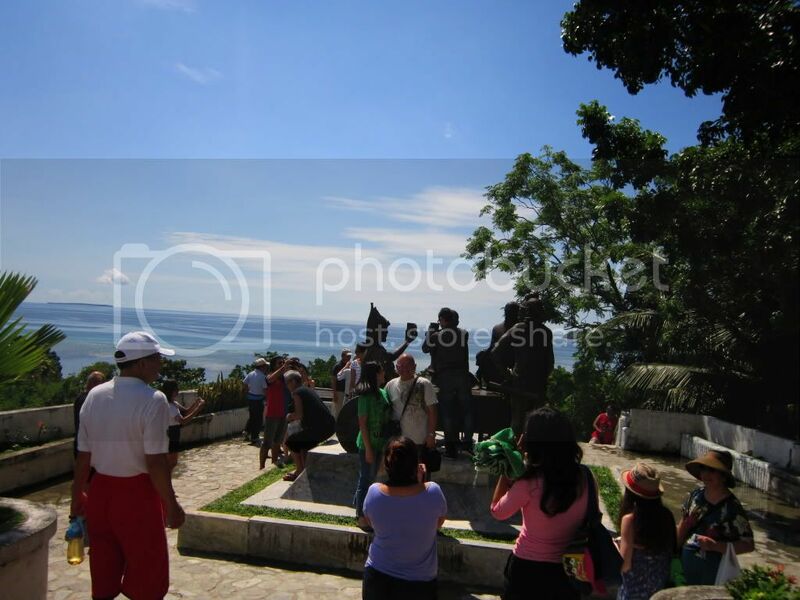 Blood Compact Site - A bronze monument depicting the blood compact between Sikatuna and Legaspi. The monument was create by Napoleon Abueva. What was special in this site was the background. 2. 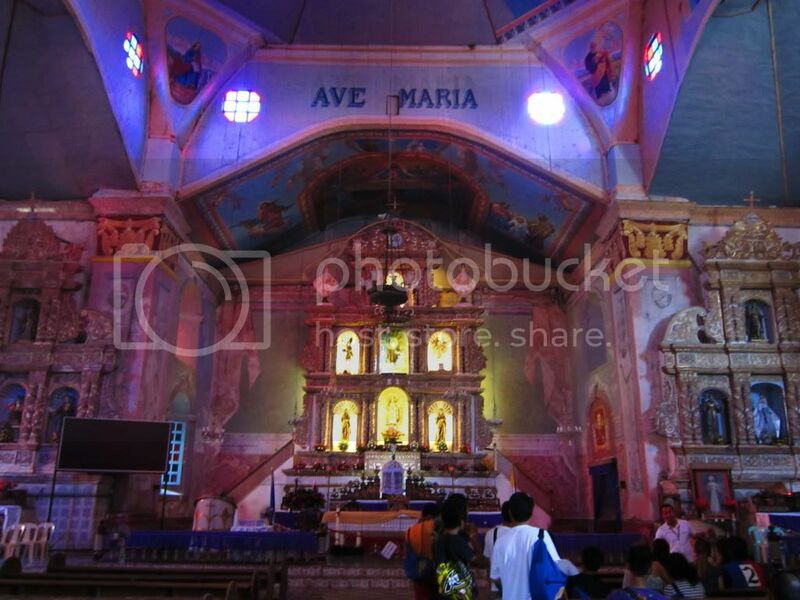 Baclayon Church - The oldest stone church in Bohol and one of the oldest churches in the Philippines. The place was a bit creepy. It has a museum (entrance fee: Php 50), but we weren't able to enter the museum. 3. Bohol Python - The largest python I've ever seen! The place is a mini zoo (entrance fee: Php 50). Guests can take a picture BESIDE the python. 4. 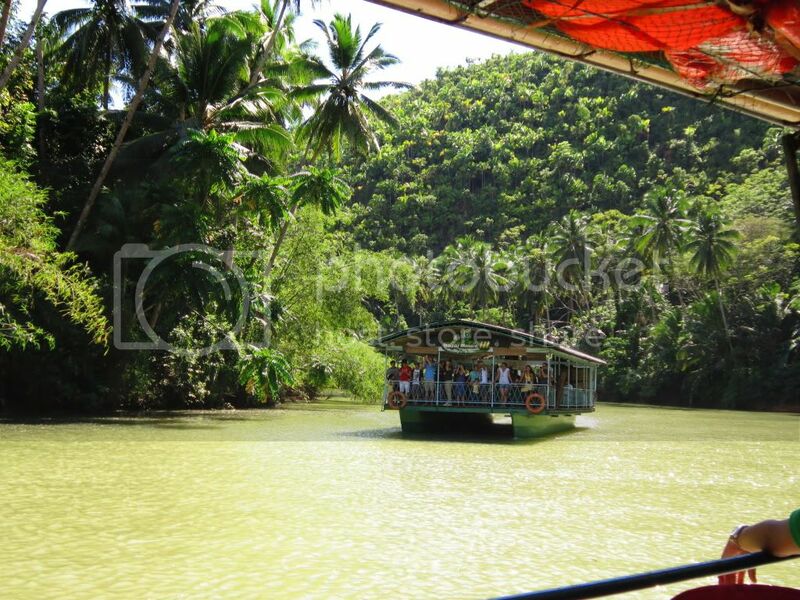 Loboc River Cruise - We had our lunch while cruising the Loboc River. The lunch buffet costs Php 300 + Php 100 (entrance fee) per person. 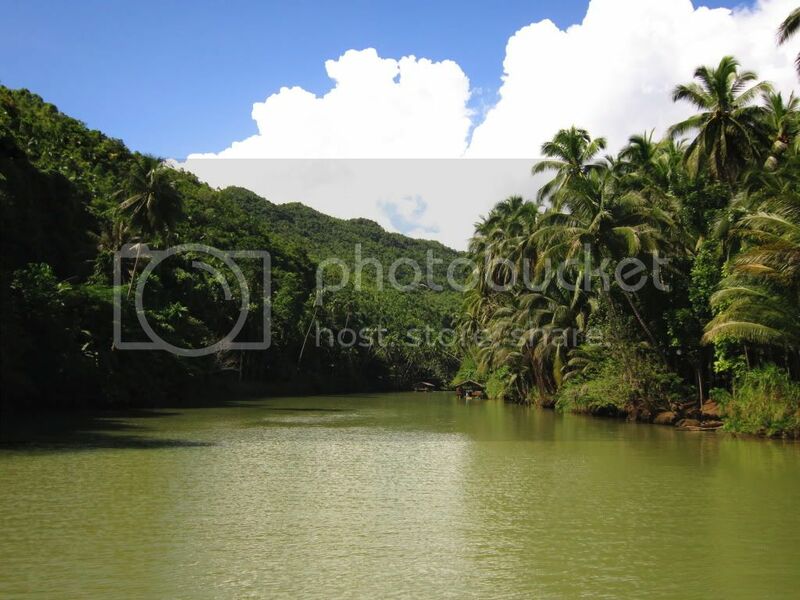 The food isn't really great, which made me think that we're paying for the Loboc cruise instead. Maybe the floating restaurants should improve on their menu. 5. 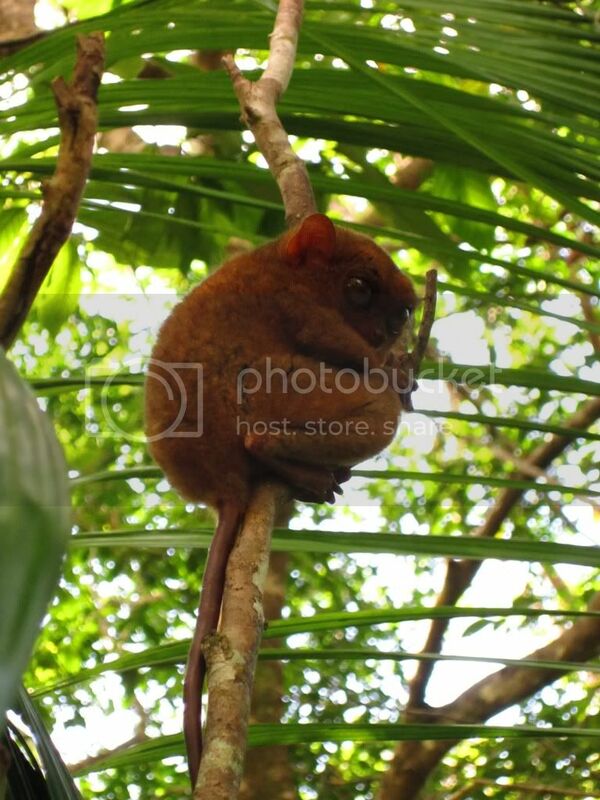 Tarsier Conservation Area - Entrance fee is around Php 30 - Php 50. This is one of the highlights of the tour. 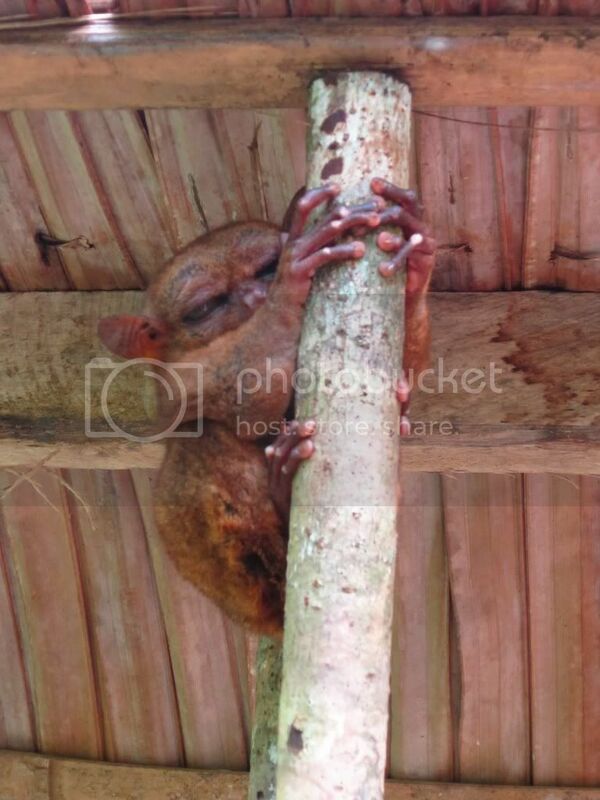 It's too bad that tarsiers are endangered. The government has to do something about it. 6. Man-Made Forest - This was a project around 40 years ago, it was a wonderful sight. I wish Metro Manila would do the same. 7. 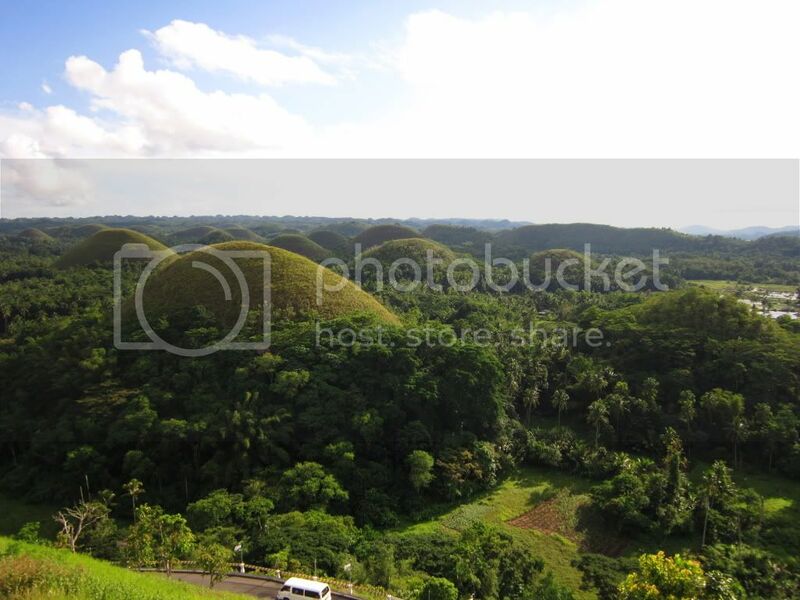 Chocolate Hills - The postcard dream is a reality! The trek to the view deck at the Choco Complex was quite tiring but it was worth it. 8. 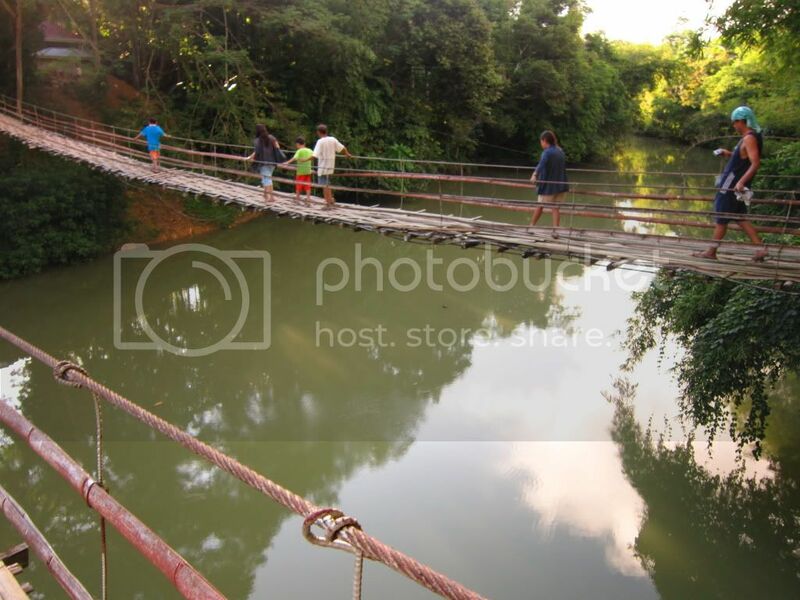 Hanging Bridge - Entrance free around Php 10 - Php 20. It was nothing special except that the souvenir shop on the other end was one of the cheapest (the other one is near the Blood Compact Site). Crossing the bridge was quite creepy. 9. The Tagbilaran Plaza - Well, this is not included in the tour but the birds flocking the electric wires is a beautiful (and kinda scary) sight! We went back to the Tagbilaran Port just in time for our 6.30pm trip back to Cebu. Overall, the Bohol Countryside Tour was great! Aside from the heat and the lunch buffet, the whole experience is a must-try for first timers like us. I suggest that you buy souvenirs at the Blood Compact Site or the Hanging Bridge. Prepare change for the entrance fees (and student IDs if you have kids with you). Mang Jessie was so nice and accomodating, please contact him if you're going to Bohol (leave a comment for his contact number). I would love to go back and go the Panglao Beach next time. Glad you enjoyed your Bohol countryside trip.. :) I haven't been to Bohol yet, but I plan to visit Cebu and have a day tour of Bohol too sometime next year.. :) Would love to have Mang Jessie's contact number if it's okay. Thanks! 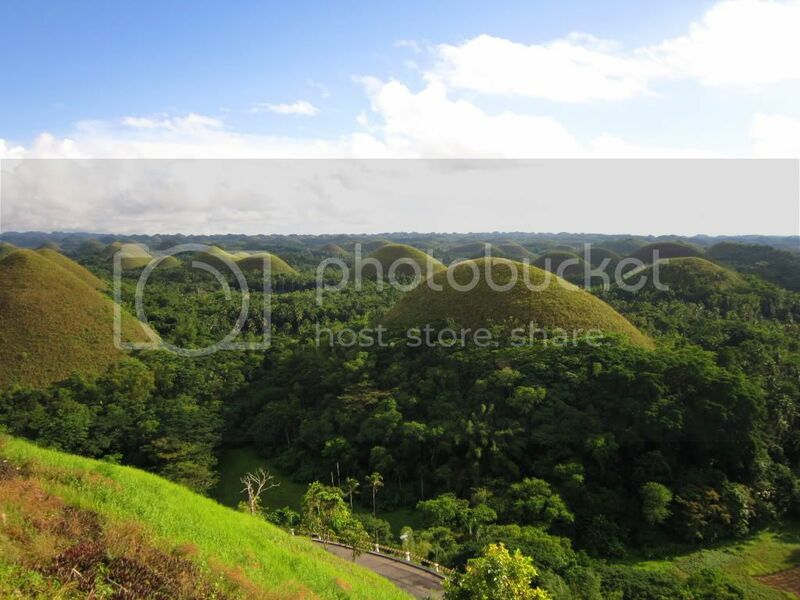 I'll visit Bohol next year. :) This will be one of my inspiration. Yay! I'm glad it was good overall. About the river cruise, to be honest, I've never been on one despite the annual trips I make there. :P I just know that for typical tours they include that as the lunch break. It looks like you went at a perfect time because the sky looks amazing from your photos! 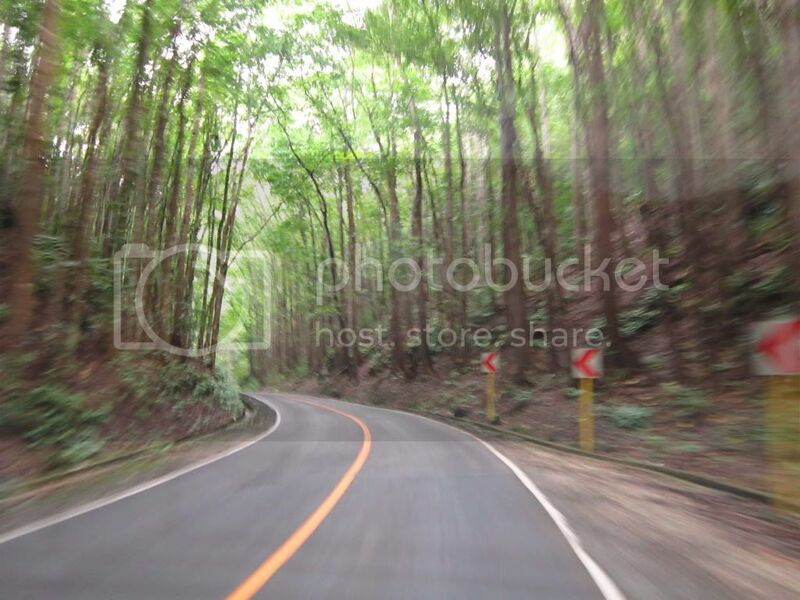 this is a very informative post, michelle... i enjoyed looking at the pics, really showcased bohol. been to cebu, if only we had enough time, nakapag side trip sana kami sa bohol... but hey, maybe one of this days we will... nice post... Yahweh bless. Hi Kenny! Thanks for itinerary! Yes, you should see Panglao too..it's worth a visit. As for me, okay naman ako dun sa buffet during the two occasions that we went there. nothing superb about the food pero you can't expect too much din naman given the price. and you're right you're just paying more on the cruise hehe! Whoa! 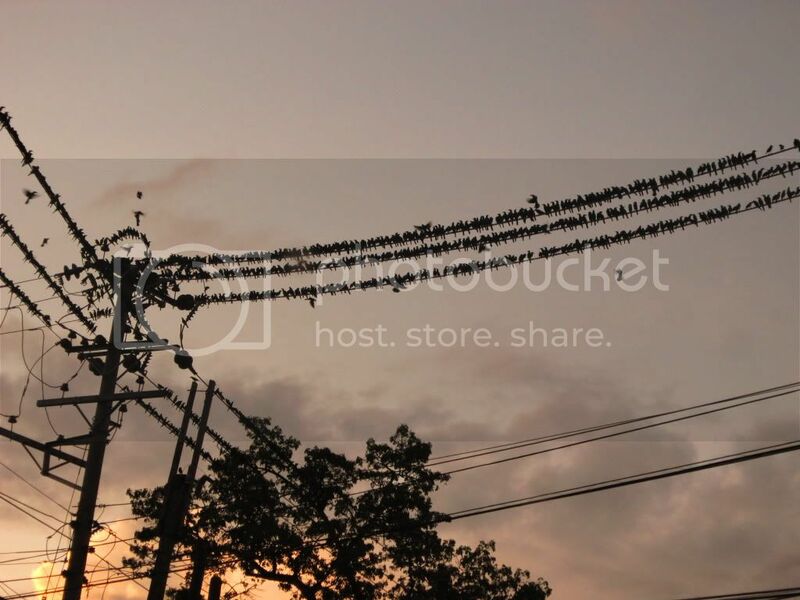 First time I've seen a lot of birds flock to the electric lines. Medyo scary nga. Hi Jane! Oo nakakakilabot, yun daw yung scenario dun pag malapit na dumilim. just got back from Bohol and it's so nice. super enjoyed the trip & food. Bohol Bee Farm's ice cream, halo-halo & squash bread with pesto is so yummy! great post sis! panalo talaga ang bohol! we also visited all the places you've been to except for the tagbilaran plaza. sayang! i agree with you. 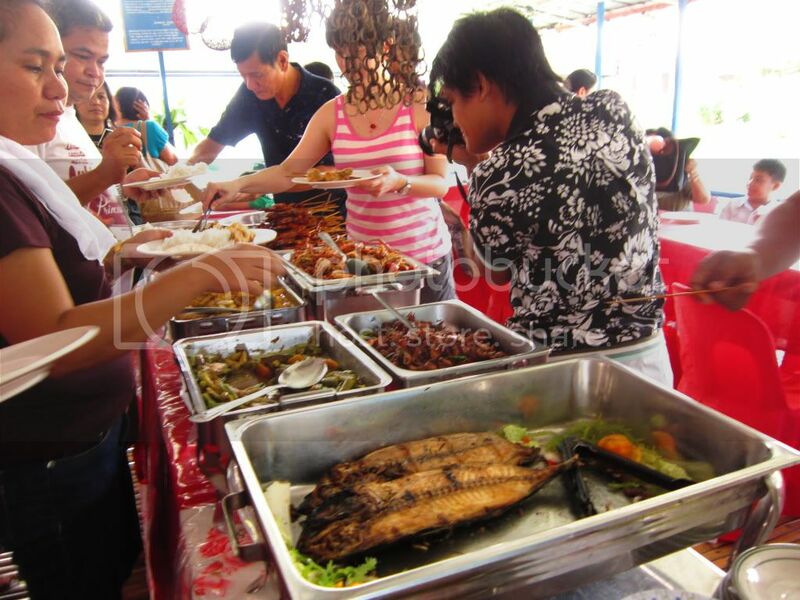 the people at loboc river cruise should really think of innovative ways to make their food more palatable. but the cruise itself was wonderful! 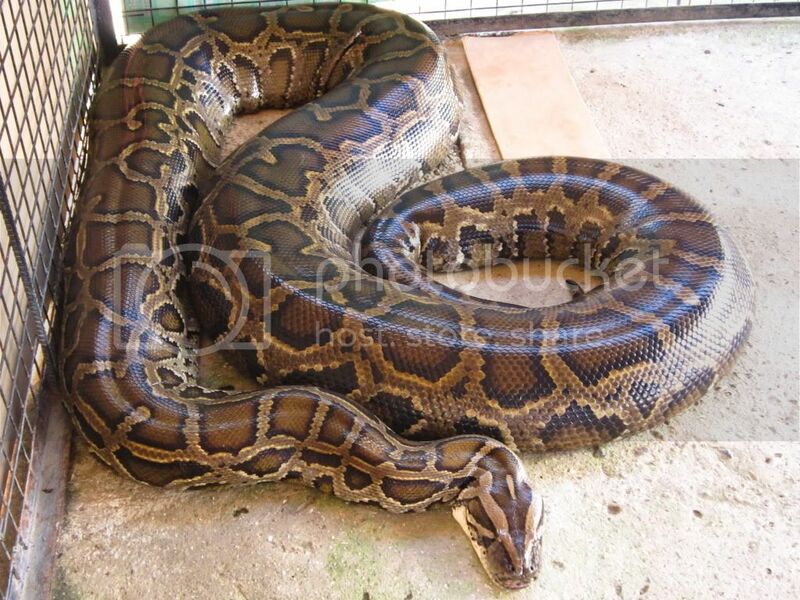 The python in Albur town might be transferred to Baclayon due to political persecution, local media reported. Hi! May you share Mang Jessie's number? ThankS!